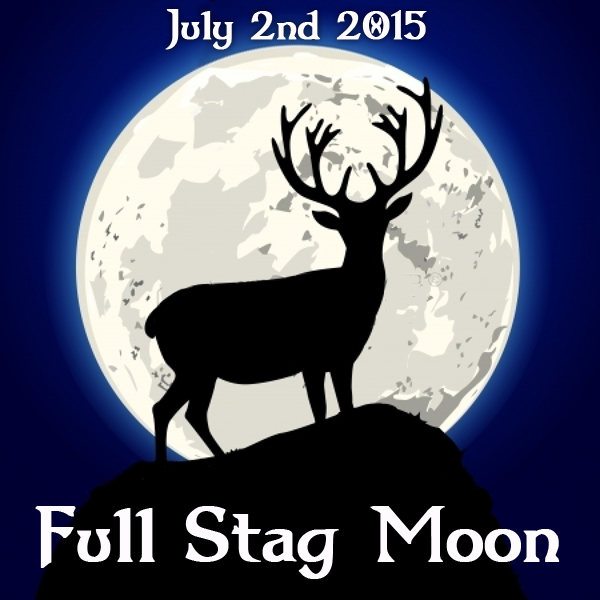 Tonight is The Full Stag Moon, so-called because young male stags will start to grow their antlers at this time. 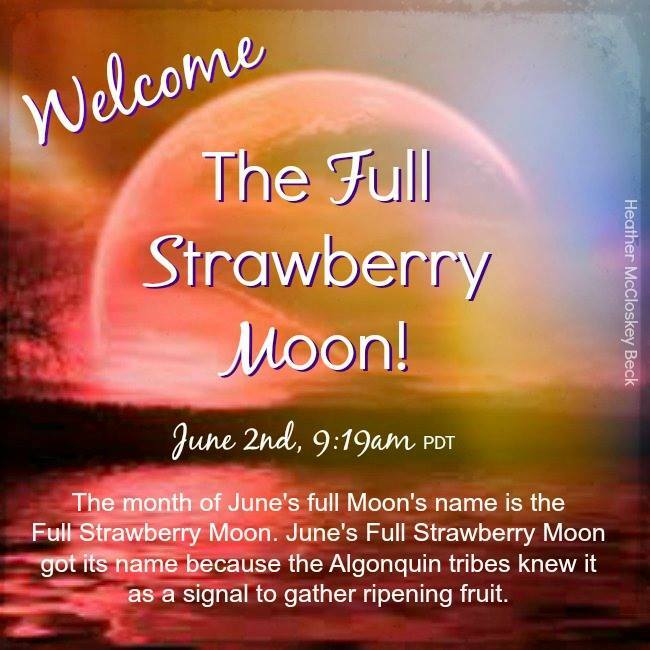 It is also called the Thunder Moon because of the thunder storms brought on through the hot and humid air.Change or be changed is the message of this Full Moon. Since the Summer Solstice you should have felt a sense of something shifting both within yourself and with the outside world, this is because we have crossed a line. The first half of the year is over it was mid year in June, we have now entered the second half of the year. This a good time to look back over the last 6 months and look at what you have learned, what you have lost and what you have gained. Take lessons from what you have learned good or bad and use them in your future endeavors whether this be in work, relationships or family. Tonight’s Full Moon is in the constellation of Capricorn, Things could get interesting, to say the least, Keep in mind this is an atmosphere ripe for outbursts that are highly emotional and highly subjective. Emotions could hit extremes of both highs and lows, and everything in between, with quick, inexplicably loony shifts. We may find ourselves in a mood for no reason one minute then happy for no reason the next. The Capricorn Full Moon will give us strength to work out what we need to work out in our lives, now is the perfect time to look into work or finances. A good saying is ‘The harder I work, the luckier I get’, which is the Capricorn motto. If there are any jobs that you have been putting off do them now, if you want to give up a bad habit use the energy of this Moon to do it. Look into money-making projects, it may be a promotion at work or a project you could start that will bring financial rewards. Many people call this the ‘Money Moon’ because it has the potential to bring you wealth or extra income. This Full Moon will be about building foundations for the future, to make ourselves feel more secure in our surroundings and financially. We can only be happy when we feel safe and secure in our own homes and environment. Be ambitious, go for what you want or put plans into place to get what you want in the future. Be braver, be bolder. You will have an inner strength now that will pull you through anything that comes up against you. Capricorn is the zodiac’s hero sign, the noble protector and soldier. Be your own hero, be a soldier, tackle any problems head on, deal with anything that has been bugging your life, get to grips with what is holding you back, break down walls and barriers that are stopping you from moving forward. 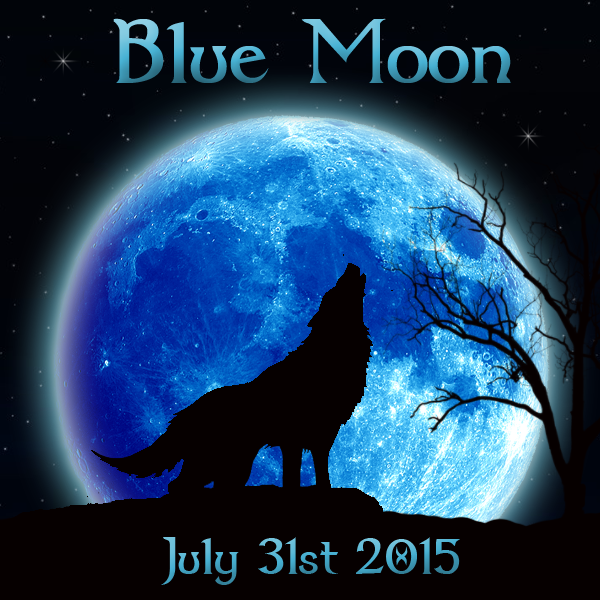 Use the energy of this Full Moon to heal your spirit. Soak up the intensified energy of the Earth and let it cleanse you. Have a Blessed Full Moon and may the Goddess watch over you. 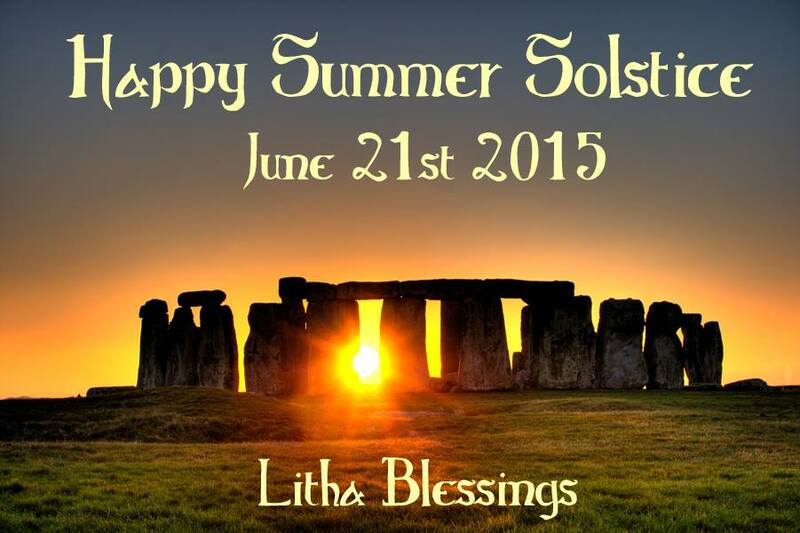 Today is the Summer Solstice, also known as Litha. 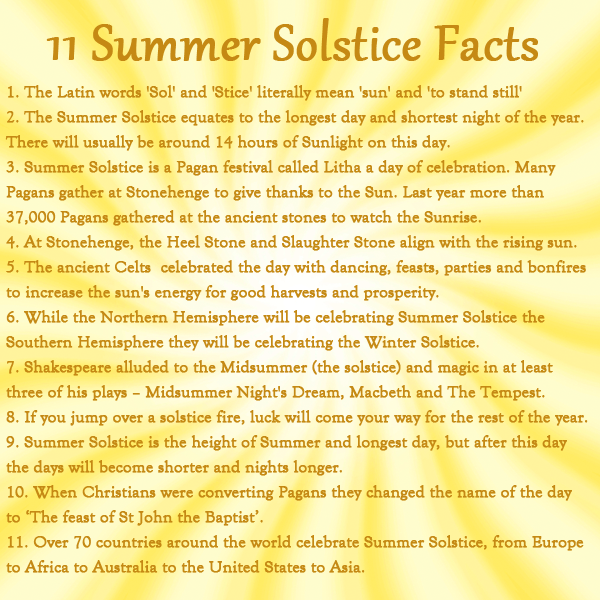 It is the longest day of the year. 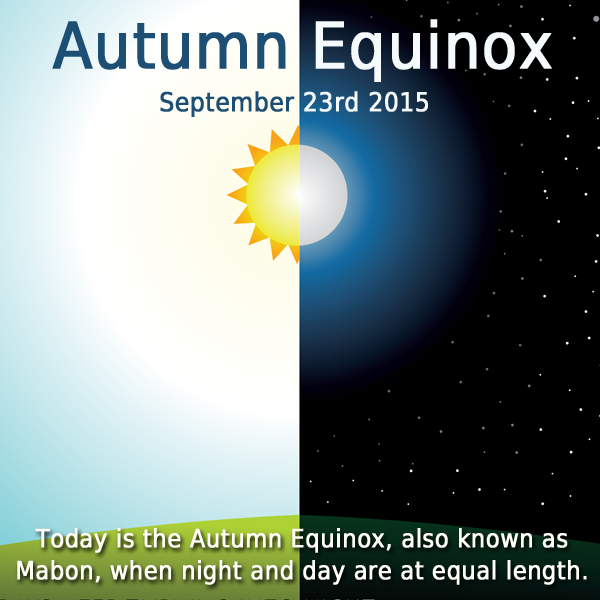 It won’t get dark until very late into the night, there will be at least 14 hours of daylight. 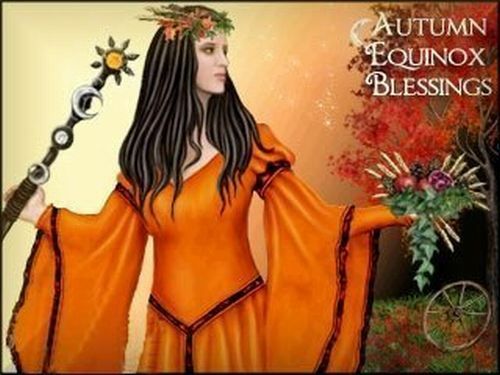 Litha means a stopping or standing still of the sun, and it is one of the 8 Pagan solar holidays throughout the year.This is a day of celebrations, the Goddess is heavily pregnant with the harvest to come, the Sun God, The Oak King is at the height of his power. But this is also a day of sadness because today the Sun God, The Oak King battles with the Lord Of The Dark Sun, The Holly King and the Holly King will win and start to take over the skies. After today the Sun starts to lose its strength, the days will get shorter and the nights longer, as we look to Autumn and Winter. The Oak King (The Lord Of Light) is born on Yule (the Winter Solstice) and he shines so brightly for 6 months of the year, but this weakens him. The Holly King (The Lord Of Darkness) lies in wait until Litha, when the Oak King uses his last ounce of strength to make sure the earth has enough power for the harvest to come. The Oak King (The Lord Of Light) will slowly descend into the underworld, but his journey will not be complete until Samhain (Halloween). That is when the Holly King (The Lord Of Darkness) will take over the skies. 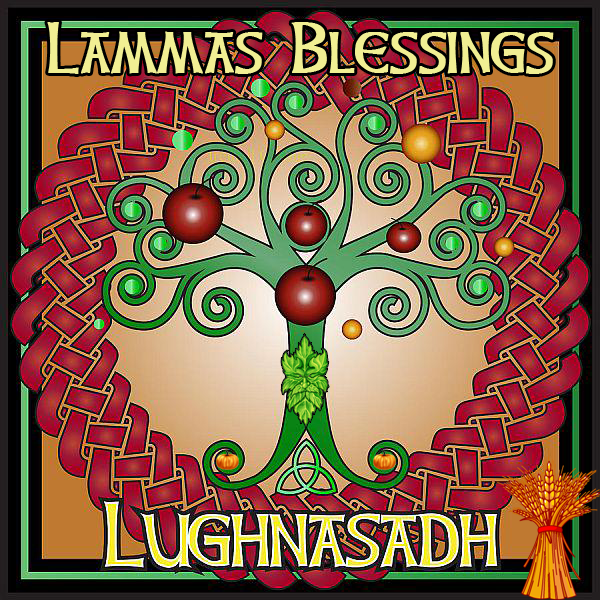 Litha is a time of light, purification, and healing. It’s a time to reflect on the light and dark within each of us and within the world around us. It is a time to appreciate everything we have in our lives and give thanks for it. It’s a time to appreciate nature and all that it gives us. Pick some flowers and put them on your altar to offer them to the Sun God and the Goddess, and thank them for their sacrifices. Adorn your altar with fruit and anything gold, yellow, or shiny to honor the Sun. Build a bonfire or light a candle. A fire lit on Litha is said to be very powerful and magical. Write down your hopes & dreams and burn them in the fire. To do this on Litha night will bring you your desire. This is the height of summer and it is one of the most celebratory days of the year. Enjoy it. Go for long walks, spend time with family and friends, and appreciate the beauty of the Summer and nature. Dance and be merry. 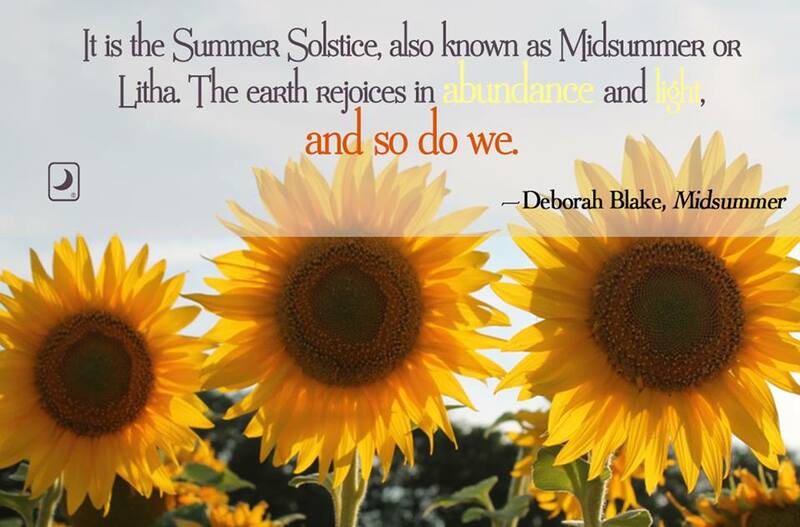 Have a Blessed Summer Solstice. Written credit goes to Wicca Teachings. I did the content editing. 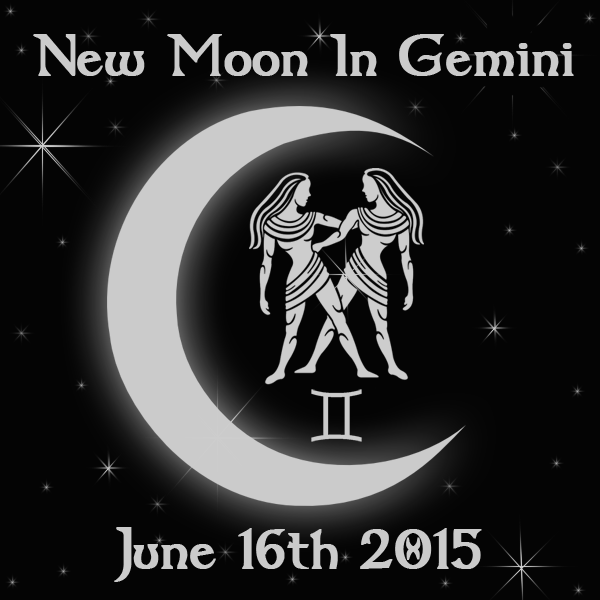 Tonight is the New Moon in Gemini. This will be a time of great transition. It is a time to let go of the past and look to the future. Life is moving forward swiftly now, embrace changes and steer them in the direction you want them to go in.The Gemini New Moon is about communication and using your intellect. Be smarter and wiser, look at your life in a new way, think on things, make plans for the future, use the Gemini influence to help you reach a higher understanding and propel you in a direction you want to go. When you come across multiple choices or two choices and are at a crossroads, rather than becoming scattered like leaves blowing in the wind, quiet down and be still, connect with your Spirit and the Divine, and ask for the answer. This is a dreamy New Moon filled with potentials and promises. The past few months have been challenging for most of us, many of us have had a rude awakening in one form or another, and life may have seemed rather hard of late, but with the New Moon things will start to look up. 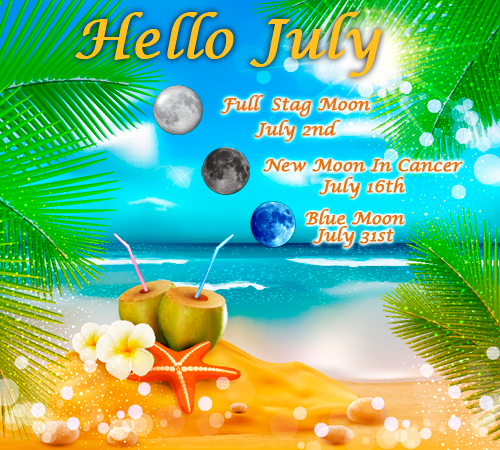 Enjoy the new energy as the Moon starts it’s waxing phase after tonight and will bring us into a new place of positive and good energy. This is a good time to go deep within yourself and see things as they really are. Listen to your intuition. Your instincts will never fail you. The logical mind can be deceived. The eyes and ears can be fooled. They see what they want to see. They hear what they want to hear. However, your Inner Being cannot be fooled. Live your life from your authentic self, inside out. Only you know what you really need and what needs to be done. The power is in your hands. The New Moon in Gemini is a time for calm and peace. The Cosmos is in perfect harmony at this time. This is a brilliant time to make dreams and wishes come true, or just spoil yourself with luxury and enjoy the peace and tranquility. Meditate on any questions you may have and the answers will come to you. Let the winds of change from this air sign blow over you and take you on a journey of discovery. This is the perfect time to start any new projects or learning something new. Have a blessed New Moon & may the Goddess watch over you. 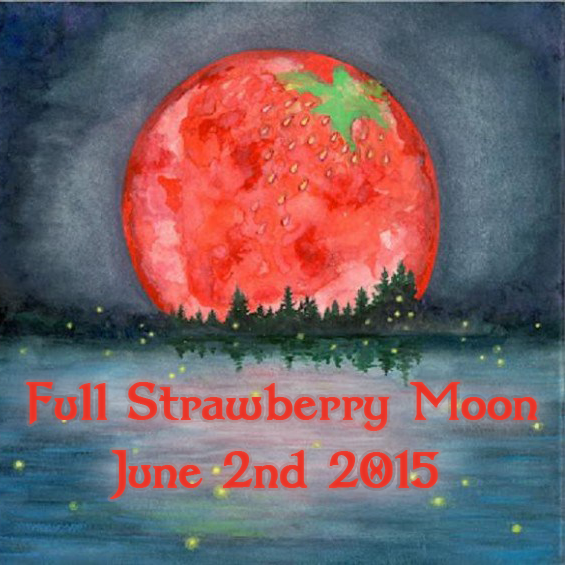 Tonight is the Full Strawberry Moon, named so because of the abundance of strawberries around this time of year. If you have a lover or a love interest, give them roses as this Moon is also known as the Rose or the Love Moon. It is the perfect time to patch up relationships, get married, or find a new love. It is also known as the Honey Moon because it has a slight amber tint to it, and it is also a time when bees are at their most active. This is where we get the term ‘Honeymoon’ from. The Moon is in the sign of Sagittarius, which is a sign of truth. Things that were in the dark will now start to come to light, new truths will be revealed. We can look at our lives with more clarity because the veil will be lifted. We must also look within ourselves and find our own inner truths. You may experience some restless nights, and wild/vivid dreams. Don’t be scared to dream and want for more on this Full Moon. Sagittarius is brave and bold and will give us a boost of courage and ambition. You may feel unstoppable and have a renewed sense of energy. Use that energy to make plans for the future. Be daring and move out of your comfort zone a little, try new things. Only by doing this can we learn and grow. This Full Moon will have our emotions on high alert, especially when it comes to matters of the heart. We will be feeling a little fragile at the moment, so be kind and gentle with yourself, don’t be too self-critical, try to stay positive and think about all the good in your life rather than the bad. There may be emotional desire to pack up and go off on an adventure or to visit places that bring up sweet memories. This is the Full Moon just before the Summer Solstice, the height of Summer when earth is full of energy and life. Use these energies to inspire you, be creative, and go out into nature for long walks. See the beauty all around you and embrace all life has to offer. Let the Sagittarius fires cleanse, heal, and energize you. Full written credit goes to Wicca Teachings. It was edited by me for content issues and clarity.